A very spacious 5 bedroom corner house. Situated in Hyde Park, this student property comprises of a large lounge diner and separate fully fitted kitchen. There are 5 very large double bedrooms, a new modern shower room, a further bathroom, and there are also the benefit of extra basement rooms! This light and airy property has double glazing, gas central heating and is fully furnished. A bargain at only £55 pppw or for an inclusive package at just £65 pppw!!!! A very spacious property with a BRAND NEW fully fitted kitchen and luxury shower room. With 5 very large double bedrooms, a lovely spacious lounge with leather sofas, a modern newly fitted kitchen with 2 fridge freezers, a stunning fully tiled brand new shower room, plus an extra WC. 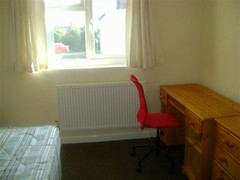 located in the middle of Hyde Park, an ideal location for students. 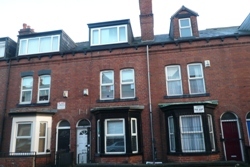 Located just off Burley Road, next to Opal and The Triangle this 5 bedroom property is perfect for students or professionals, with the city centre and uni all within walking distance, and with an array of local amenities right on your doorstep. Lovely and very spacious 5 bedroom house located just next to Burley Park Station itself! All bedrooms are very large doubles, furnished with double bed, desk, chair, wardrobe and chest of drawers. 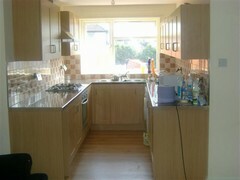 There are two kitchens in this property - one with a dining table! The lounge has 2 large leather sofas, and there are also two bath/shower rooms in this property. Book a viewing ASAP as this massive property will not be available for long at this bargain price! 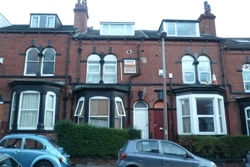 A brand new fully refurbished five bedroom property in the center of Headingley. All double bedrooms two executive bathrooms with superb communal living space and conservatory. Gardens front and rear for those summer barbeques as well as off street parking. A lovely 5 bed property, situated in Hyde Park.This student property has a large separate lounge which leads onto a galley kitchen to the rear. There are 5 double bedrooms, one of which is on the ground floor, with a lovely bay window, two in the middle and two in the attic (which are particularly nice). 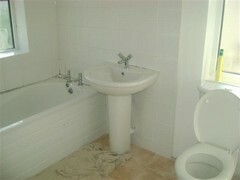 There is is a modern bathroom and a separate shower room. With gas central heating, fully furnished and neutral decor throughout. 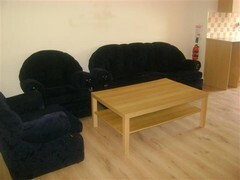 Situated in the upper end of Hyde Park, close to local amenities and easy access to uni. 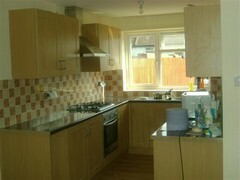 Newly decorated large bedrooms, newly fitted kitchen and shower rooms. Full double glazing throughout the property. Big garden with 5 cars private parking space. Landlord maintains the garden and has the windows cleaned. There are 2 double bedrooms on the ground floor, and a further 3 rooms upstairs all with double beds. There is a separate living room to the front of the property, which leads onto a large galley kitchen, with modern white units. 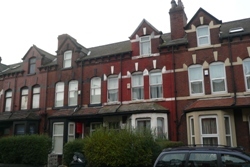 Leeds Prime Properties are delighted to offer this brand new refurbished property, situated in Hyde Park. This fantastic property has five double bedrooms, a lovely dining kitchen, 2 bath / shower rooms, a large lounge, and a good size store room in the basement. Book a viewing today to avoid disappointment. An ideal property fot those students that like getting up at 8.55am!!! With its close proximity to the university and Leeds city centre, this lovely 5 bedroom house has, a seperate kichen, seperate lounge / diner, 1 shower room and an extra w/c, double glazing, and central heating. GCH/ DG / hard wire fire alarm system. Bathroom will be replaced in the summer. General maintenance work etc to be completed in sumer. 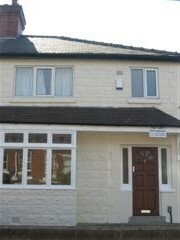 A fantastic student property, recently modernized to a high standard. Featuring a large and modern lounge diner, a separate fully fitted kitchen, 2 bath / shower rooms and 5 double bedrooms. 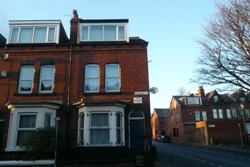 Located in Hyde Park, in a lovely street close to the Co-op and Burley train station. A very large property, with five double bedrooms, a seperate lounge and fitted kitchen, a brand new downstairs shower room, and another fully tiled bathroom upstairs. Excellent location. Viewing highly recommended to appreciate the fantastic value for the size of the property.